What’s the first thing that comes to mind when you hear Starbucks? Is it the coffee? A green mermaid? Or maybe the USA? With this campaign, the global coffee giant is attempting to reinforce its emotional brand connection going beyond the coffee to reinforce their brand mantra of being the third place. Having travelled though Asia, America & Europe I have always been intrigued by the power of the Starbucks brand, and how it brings people together. Their latest campaign really capitalises on this powerful emotion. 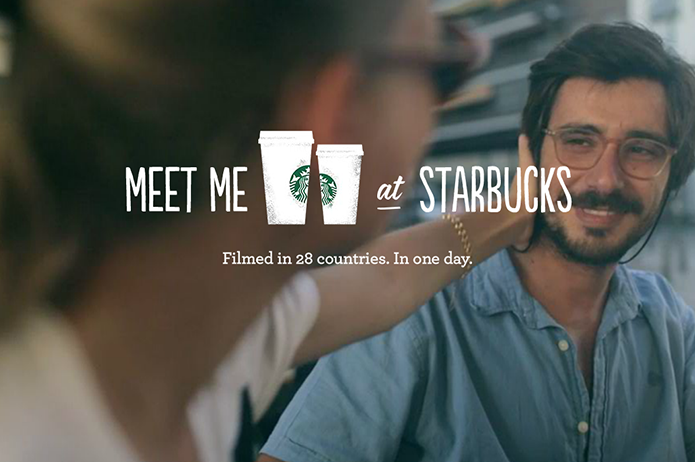 The global campaign called “Meet me at Starbucks” is all about the brand and it’s an epic production. Filmed in 59 different stores, 28 countries and compiled from more than 220 hours of footage, the campaign takes a documentary style showing a day in the life of Starbucks. Showcasing various subjects, from hearing impaired groups, to women chit chatting, to business meetings to teenage friends hanging out at Starbucks, it shows how the brand is relevant to many cultures but is still personal and relevant in different ways. I felt really touched by the mini documentary showing a women with hearing loss who met a group of “deaf friends” who held meetings at their local Starbucks in Hawaii. These stories with help become more interactive for customers and help others document their experiences as they start to use the hastag #howwemet. 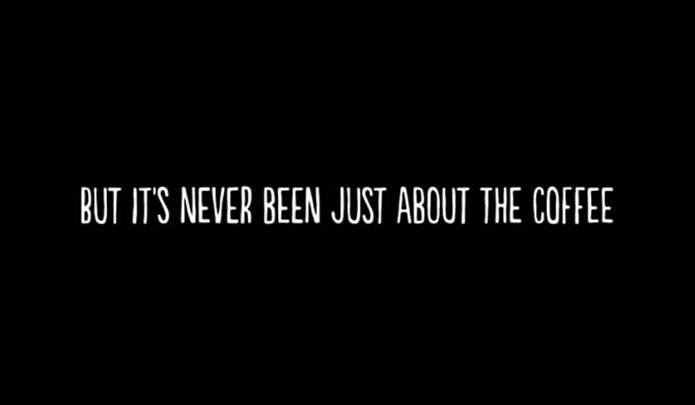 “Every day around the world, millions of people gather at Starbucks, but it’s never been just about the coffee,” opens the documentary. This really resonated with me. The campaign displays that there are so many ideas out there and so many ways to connect with the world thanks to technology, however we aren’t really connected unless we see people face to face. I’m excited to see how this campaign will evolve and encourage people to share their stories and connection to the brand. Download Part Five of our Framework into Best Practice Annual Report Information Design; Key Performance Indicators (KPIs); Tracking Progress and Measuring Success.